Our head office has been based in the historic Bury St Edmunds, Suffolk, England since 1971. Discover what makes this thriving town such an exciting place to live and work with our latest guide to the area. 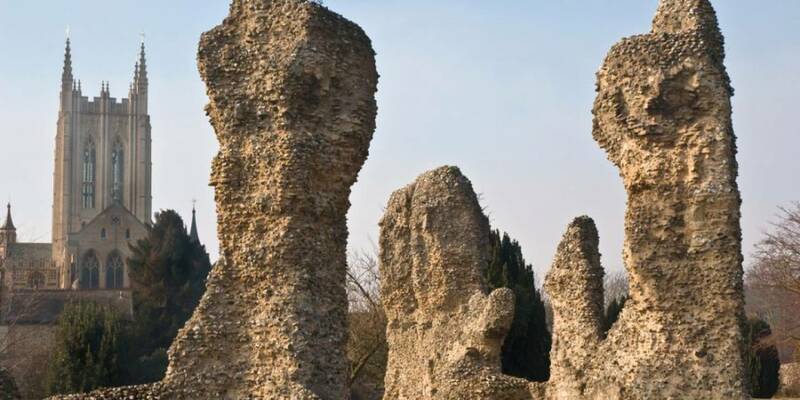 Bury St Edmunds is market town in the south east of England, steeped in history. It has a population of about 110,000 and is approximately 84 miles from the hustle and bustle of cosmopolitan London. The closest airports are London Stansted (40 miles) and Norwich Airport (41 miles). There are lots of activities to fill your evenings and weekends in Bury St Edmunds. With everything from gyms, golf courses, cinemas, shopping areas and a National Trust Regency theatre to laser quest, comedy venues and a host of bars and restaurants, you’ll never struggle for something to do here. In summer, the Abbey Gardens are a must-visit destination. It’s the most popular spot to enjoy a traditional ice-cream in beautiful surroundings. As the months turn colder, Bury St Edmunds residents enjoy one of the country’s finest Christmas Markets, known for its high quality crafts, food trucks and unmissable mulled wine. The town has a great balance of old and new. It is centred around a grid system which dates back to 1080, giving a very distinct atmosphere to the middle of town. Independent, family-owned shops can be found in strong numbers, going back many generations in places. In addition to these well-known local treasures, is the Arc – a modern, spacious and clean shopping centre boasting the best names of the UK High Street. There is a variety of housing options in and around the town, with everything from characterful Victorian terraces to modern new build developments. The town itself is surrounded by a number of charming villages, only a short drive or bus ride to the town centre, offering a real slice of Suffolk charm. For more information about Bury St Edmunds, take a look at visitsuffolk.com/explore/bury-st-edmunds today.